Meet: 9:00AM at the South Cove Commons parking lot. 1 LeFante Way at at Route 440 Bayonne, NJ 07002. Look for the HRWC banner. Walk starts 9:30AM. Driving Directions: Take the NJ Turnpike Extension (I-78) to Exit 14 A - Rt. 440 South to Bayonne. Follow Rt. 440 South to the New Hook Road exit on the right. Make a jug handle turn and turn left onto Rt. 440 North. From Rt. 440 North, turn right at LeFante Way and into the South Cove Plaza parking lot. Meet at far end of parking lot towards the water. 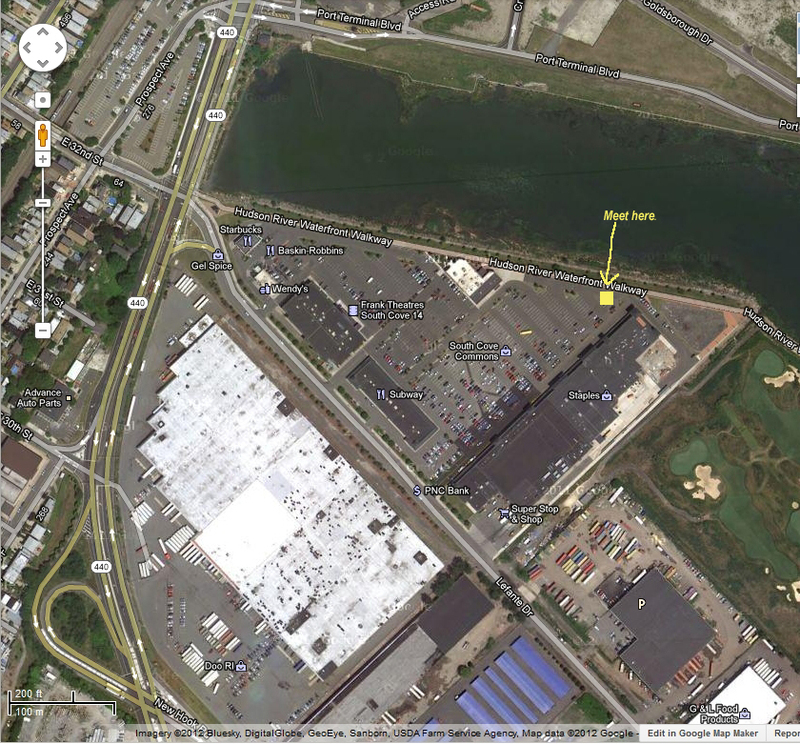 Nearest Light Rail Stop: 34th Street Station, Bayonne. Walk across Rt. 440 and into the South Cove Commons parking lot. Walk the Walkway along the Bayonne Golf Club. This land was once a major land fill and has been reclaimed and converted to a golf course and Walkway with spectacular views of New York Harbor and lower Manhattan. This is a major location for fishermen and there is a kayak launch. The Walkway is not completed here as the Golf Club has refused to complete the final section, arguing that it would end at the adjacent tank farm and be dangerous. The Conservancy disagrees with this. This walk will also include the new section of the Walkway at the MOTBY pier.